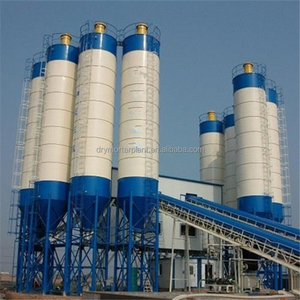 urea coal bolted silo are widely used in storing grain (such as wheat, corn, maize,rice,paddy,malt,barely,soybean etc. T here is a guardrail around the silo eaves and there is also a manhole on top of the roof. (3) Manhole and R oof L adders There are inspection door and ladders inside and outside the silo body. 2. High automation: Our assembly silos can achieve high automation and mechanisation, high productivity, labor-saving. 2. As one of the largest silo manufacturing company, we have introduced over 20 sets of processing units, and production capacity reaches 1 million tons per year. We improve quality, reduce power consumption, shorten construction schedule, and quick feedback in terms of technology, production, engineering and service. 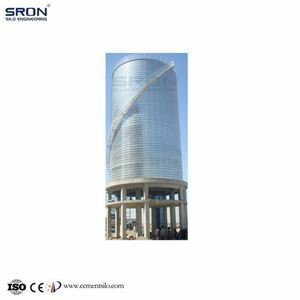 Hot Galvanized Steel Cement/Coal Storage Silo Price and Cost About SRON SRON is China Leading turn-key solution provider for bulk material storage silo system. 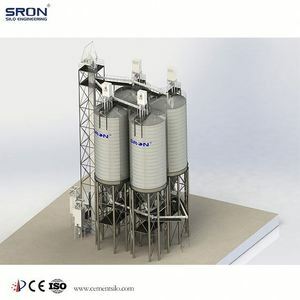 (coal storage silo) Silo Model SRON Most Popular Silo Model Each cement silo systems shall be unique designed by our engineeers to matching your special requirements. * Routinely telephone track to remove all might be problems or issues guarantying the whole system long lasting safety and reliability. Equipped with a safety valve at the top of cement silo, cement silo used to balance the pressure difference between inside and outside. 2.Q: How about the quality of your coal silo9 A: Our products are manufactured strictly according to national and international standard. 4.Q: How about the wear parts supply of coal silo9 A: Our factory offer wear parts to every customer with our most favorable price. 5. Long working life: 25-30 years, achieved by best combination of plates of different thickness for grain storage silo body. 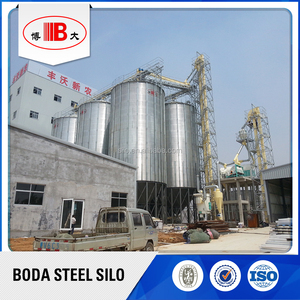 Features of storage silo(bolted steel silo): 1. 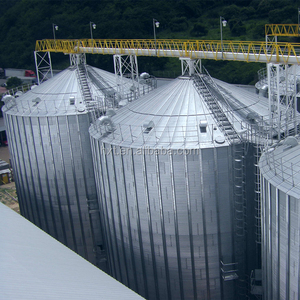 High precision: Our grain storage silo has international advanced equipment and technology guarantees. 2. 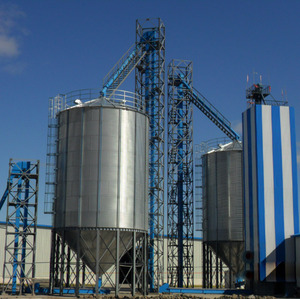 High automation: Our grain storage silo can achieve high automation and mechanisation, high productivity, labor-saving. 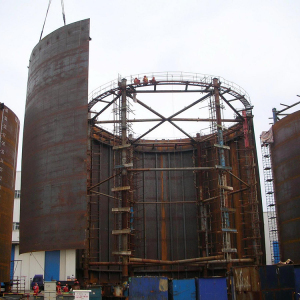 100ton cement coal storage silo for sale 100ton cement silo wid ey used to storage powder materials such as cement material , chemical material ,soda ash and so on. 5. Equipped with a safety valve at the top of cement silo, cement silo used to balance the pressure difference between inside and outside. Upper and lower parts of the cement silo is equipped with display materials, can monitor the number of cement materials warehouse. 5. Long working life: 25-30 years, achieved by best combination of plates of different thickness for grain storage steel silo body. 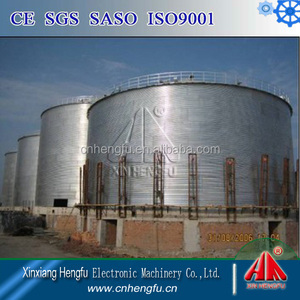 Features of steel silo ( Assembly steel silo ) 1. High precision Our cereal storage steel silo has international advanced equipment and technology guarantees. 2. High automation Our cereal storage steel silo can achieve high automation and mechanisation, high productivity, labor-saving. ton bucket elevator , scraper conveyor , belt conveyor and other grain storage industry equipment. Other ancillary product design and manufacturing in line with the relevant national or industry standards. If i nstalled by the user, our company will send the Commissioner for installation instructions. 4 YRS Zhengzhou Jianxin Machinery Co., Ltd.
3 YRS Kaifeng Hyde Machinery Co., Ltd.
2 YRS Zhengzhou Yishang Machinery Equipment Co., Ltd.
1 YRS Zhengzhou Hongsen Machinery Equipment Co., Ltd.
Alibaba.com offers 3,389 coal silo products. About 15% of these are concrete batching plant, 13% are silos, and 1% are other farm machines. A wide variety of coal silo options are available to you, such as steel, plastic, and cement. You can also choose from free samples. There are 3,389 coal silo suppliers, mainly located in Asia. The top supplying country is China (Mainland), which supply 100% of coal silo respectively. 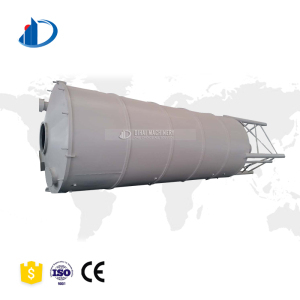 Coal silo products are most popular in Domestic Market, Africa, and South Asia. You can ensure product safety by selecting from certified suppliers, including 1,736 with ISO9001, 472 with Other, and 98 with OHSAS18001 certification.